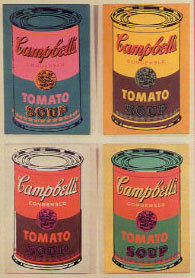 Web cover photo: Copyright 2000, Andy Warhol Foundation for the Visual Arts/ARS, New York. Skidmore�s tool-shop machinist serves the cause of science and education. Make No Small Plans Make No Small Plans, the new Skidmore history book, researched and written by Mary C. Lynn, professor of American studies, is available now. Jammed with facts and photos, personal stories and recollections, Make No Small Plans is a comprehensive, century-long history and features more than 200 photographs. Order it on the web today!